I am really encouraged by the range of aroma, taste and flavour and downright quality of extra virgin olive oil this year. Over the last few weeks I have been busy tasting a variety of evoos from around Europe and most of them are pretty good. However, just a few of them really stand out and I think they are worth the effort to find. Importers please take note! Querubi: This excellent oil comes from the foothills of the Eastern Pyrenees which is a bit of a surprise as this region is better known for its table olives rather than its oil. Provence tends to be the first region to spring to mind when talking about French olive oil. 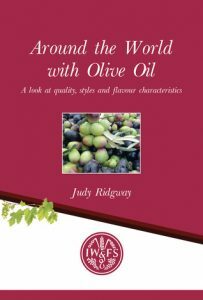 The varieties pressed for this oil, Poumal, Verdal, Oliviere and Picholine, are all local to the area. My notes on this oil take in its harmonious character and deeply complex flavour tones. Wet leave,grass, culinary herbs, woody stalks all feature in the description of the aromas along with some floral tones and a touch of orange citrus and light nuts. The oil is equally distinctive in the mouth with rocket, artichokes, mustard leaf, tobacco, and a touch of liquorice. Walnuts and light chocolate complete the picture. It is quite a robjuest oil with a spicy pepperyness. Domaine de Querubi is situated near to the medieval village of Castelenou. It was planted with olive trees in 2008 by Dutch businessman Willem Voorvaart. From the first the decision was taken to use zero chemicals and to farm by organic principles. Sustainability is another important factor at Querubi and by using solar energy the bulk of the estate is fully grid independent. Querubi is on sale in Fortnum & Mason or buy on line. Picualia: This single varietal Picual oil comes from the home of the Picual olive, Jaen in Andalucia. It is pressed by Agricola de Bailen Virgen Zocueca S Co-operative from olives supplied by its 943 members. Each year the farmers strive to be one of the elite few that supply the olives for the Picualia Premium. Only the very finest olives from ten to eleven carefully selected farms are chosen to supply olives for this premium EVOO. The olives are picked, pressed within 4 hour and the result an oil with an acidity of 0.1 and very high levels of polyphenols. This oil shows Picual at its very best. It is another distinctive oil with great character and harmony. My notes on the aroma take in aromatic tomatoes on the vine, fresh grapefruit and kumquat with a touch of tropical fruits and culinary herbs. It is more herbaceous in the mouth with a salad bowl of rocket, mustard leaves and watercress as well as tomato and some lightly woody stalks, bitter herbs and almond skins. It has a medium intensity and,like the other two oils has well balanced fruit, bitterness and pepper. 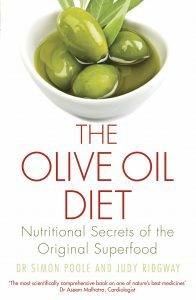 Eliris: This first class oil from Greece is unusual in that it comes from a number of different olive varieties rather than being pressed exclusively from Koroneiki which is the norm in Greece. The oil is made on an estate in the Meniko Mountains of Northern Greece, which is better know for its vineyards, and the groves are planted with Megaritiki, Manaki, Tsunati, Halkidiki, Kalamon and Amfisas as well as Koroneiki and this range seems to give the oil much wider flavour dimentions than many other good Greek oils. This is a lovely oil with a very fresh and appealing aroma. My notes take in culinary herbs, green bananas, hedgerow leafiness, stalks and flowers, grapefruit and nuts. In the mouth sweet fruity fruits mingle with green bananas and wet leaves and grass. This is the lightest of the three oils but there is still a very pleasant delicate bitterness and medium pepper.